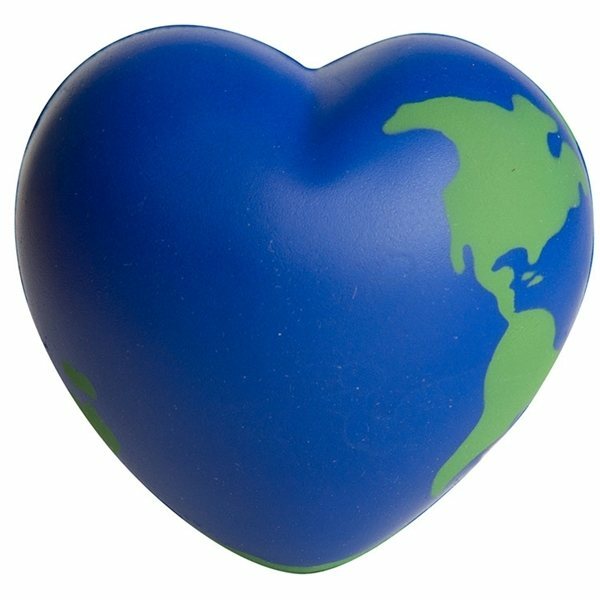 World heart shaped stress reliever will not only melt your customers’ stress away, but will show your support on saving the planet! Any company or organization can use these personalized stress relievers to spread the message of being Eco-conscious. Send a heart-warming message at your next trade show or convention while reaching new clients and customers. I liked the color best. Met my expectations in every regard. I bought this item for my Staff, who loved it very much and so do I. they were a hit at our tradeshows. Everybody who has one appears to actually like them. I also liked that the lanyards were included. They look and feel like high quality products. these were a huge hit at my Trade show!